Posted on October 11, 2016 by Social NetworX Inc.. 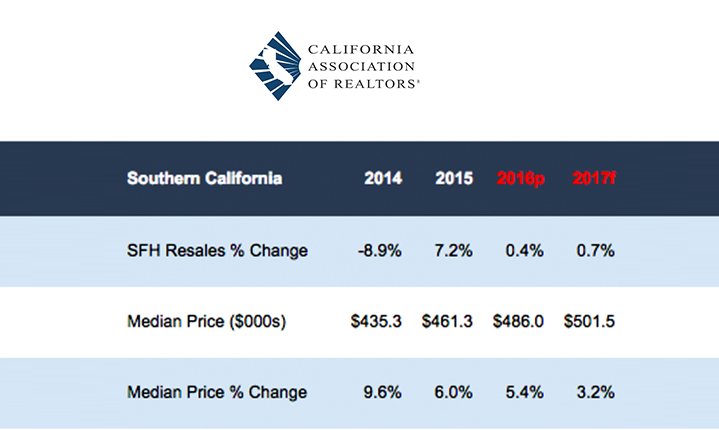 The California Association of Realtors released its 2017 market forecast report last month and the outlook is positive. Home sales are expected to rise marginally although the current prices reflect the slowest increase in six years. This stable growth shows that the market is healthy again and functioning normally, as it historically has done. According to C.A.R President, Pat Zicarelli, “ Next year, California’s housing market will be driven by tight housing supplies and the lowest housing affordability in six years “. We’re likely to continue to see housing growth in the suburban areas as inventory continues to tighten and affordability is leaving prospective buyers with fewer options.